David Spade: You know… that guy. While Trump has furiously mentioned Spade countless times, the investigation found no connections. Nick Offerman: is one of the few great Americans in the entertainment industry. Nate Bargatze: is the only comedian on this line up that is cleaner than Trump. Jenny Slate: the possibly Jewish comedienne with the cutesy voice, not the evil Sarah Silverman. Sal Vulcano: the guy that tells President Trump what to say through an earpiece. Off Book Podcast: an improvised musical show by the brilliant Jess McKenna & Zach Reino. No Joke here, just make sure to check out this amazing show. The Bonfire Podcast: A hell of a time, Big Jay Oakerson, Dan Soder and guests collude with hilarity. Jon Dore: is tremendously funny, however he is not an American Citizen! The Sklar Brothers: for some reason, out of the two sets of twins on this year’s line up, these are Trump’s favorite. Dan Soder: a great comedian and actor on Trump’s favorite show, where the guy who was that foreign agent is now the crooked rich guy who always gets his way and never gets caught. Dana Gould: a clever comedian, maybe too clever. Kurt Metzger: Hilarious comedian and award winning writer who looks he should have been indicted but got off on a technicality. Kevin McDonald: a member of the infamous un-American group the Kids in the Hall, known for spouting nonsense and dressing as a lady on TV, not Rudy Giuliani. K. Trevor Wilson: this foreigner is known for his appearance on Comedy Central’s Roast Battle, when you see him, make sure his work visa is not expired. 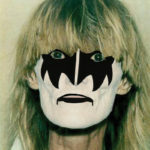 Martha Kelly: Austin Comedienne and actress with a unique style, very funny for a member of the resistance. Michael Priest: would be one of the Austin Comics most hated by Trump, if he had ever heard of him. Jeremiah Watkins: Trump’s favorite member of the Wave on Comedy Central’s Roast Battle. Sean Patton: an amazing comic who can work a crowd like Trump works twitter. 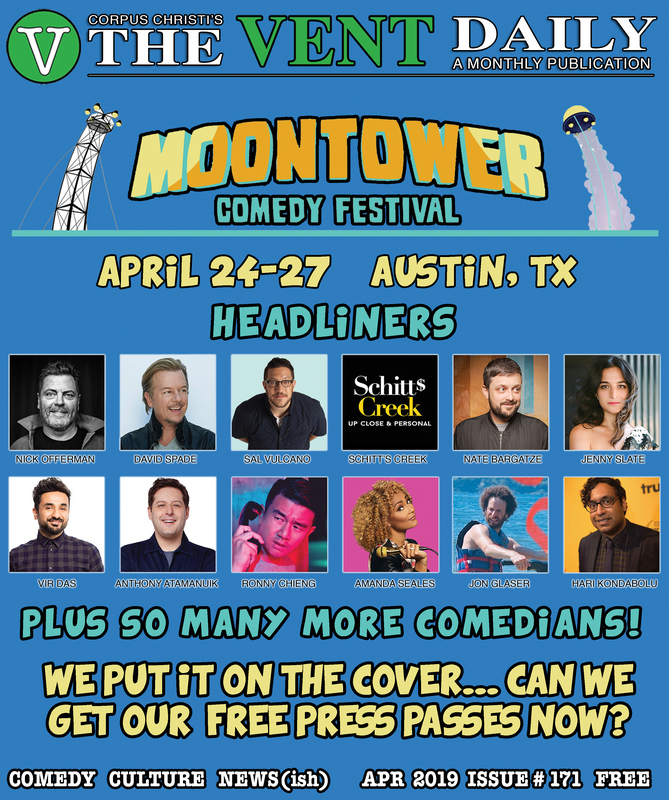 There are many more comics performing at this year’s Moontower Comedy Festival in Austin, Texas – April 24th-27th, even some that aren’t white. However, due to the target of the investigation there were little to no connections discovered between Trump and those comedians. 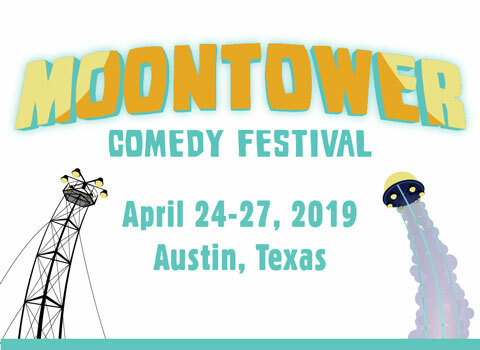 You can still purchase $99 Satellite Badges for Moontower 2019 at moontowercomedyfestival.com. 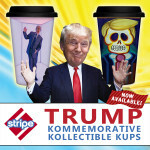 Stripe Stores Support Trump’s K.K.K.